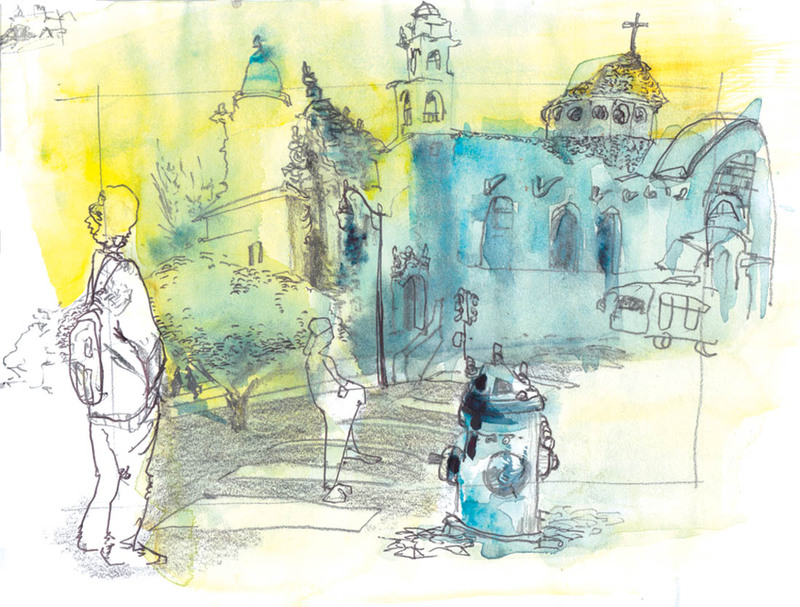 … another drawing of Mission Dolores. One weekend I found myself a spot in the sun and went for it. As simple as that. Very nice sense of atmosphere, sunshine and movement!